WHAT IS A STRIGOI? : Strigoi were vampirelike creatures originating from Romania that were believed to be the spirits of deceased people who had led troubled lives. 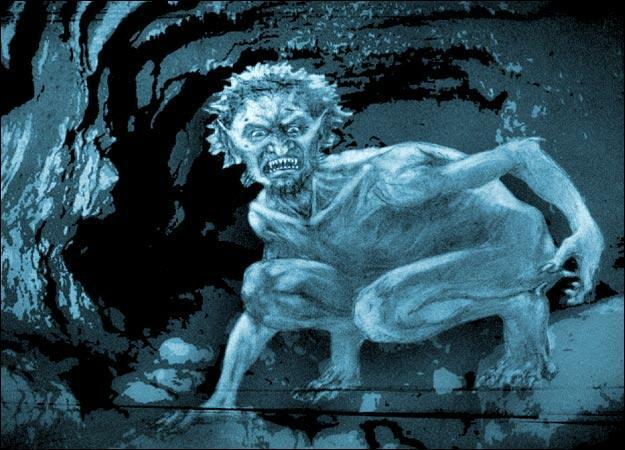 According to Romanian folklore, most strigoi had crimson hair, indigo eyes and two hearts, but it was difficult to recognize one since they usually took the form of other entities. This spirit survived by drawing blood from people and often transformed into animals or poltergeists in order to create chaos in the real world. For example, Romanians blamed strigoi for conditions like disease and famine. BECOMING A STRIGOI: According to legend, there were many potential scenarios that could cause someone to become a strigoi after death, but this fate was usually the result of leading a troubled or unfinished life. For example, a person born out of wedlock supposedly was destined to return as a strigoi, along with those who died before being baptized or people who died of an unnatural death. Children with certain birth defects were at one time said to be living strigoi, known as strigoi viu. REMOVING A STRIGOI: Historically, there were a variety of ways people ensured a loved one could not return as a strigoi. For example, some believed that burying a bottle of whiskey with the deceased would keep him or her from returning, while others destroyed the body prior to burial. If a family believed the deceased had returned as a strigoi, they might have exhumed the body and destroyed it or driven spikes through its heart to ward off the strigoi for good. If after seven years, a strigoi survived, it could live as an ordinary person and even have a family again.